The aftermath of Clarissa’s father coming is peace. Unsurprisingly, that peace can’t last long. A werewolf is hunting and eating people. Someone is kidnapping people and leaving behind fake gold coins. In the middle is Clarissa’s best friend Samantha, who is not acting like herself at all. With St. Paddy’s day coming up, Clarissa actually does think a leprechaun is responsible. 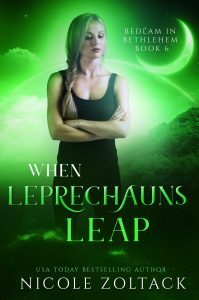 Can she save her best friend, or will the leprechaun have all the luck in the world?